You're just about to finish your book. It's going through the final stages of editing and now your focus has shifted to getting your book out into the world. But where do you start? If this is your first book, it might seem a bit frightening, but if you lay out your plan in a timeline, you'll find it's going to be much easier for you to accomplish your goals and the vision you have for your launch. What is your ideal outcome? Most authors plan their book launch to cover at least a week, but a few will continue throughout the first month of the release. It is important you get your website up and your blog propagated, meaning you should probably start your site as you begin to write your book and begin to market the site to your social media contacts. Your site should be the same name, but not more than three or four words, as your book title. I recommend writing a blog post every day for the first three months to get your site ranked highly and gain the traffic you deserve. Consider offering at least one chapter free on your site to let your audience get a preview of what they can expect as well as including the table of contents. Another great technique to entice your audience to purchase your book is to give away a free related product such as an audio they can download. If you know of authors who have been successful and ask them what worked for them. I have found most authors are more than willing to share their experiences. I have learned just as much about what didn't work for them as what did work. 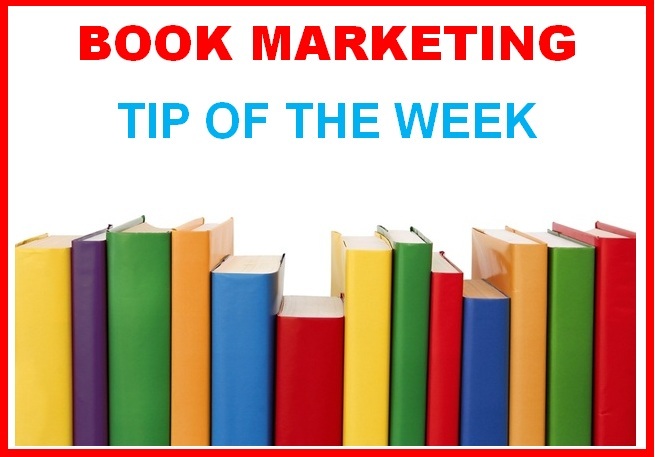 I approach authors from social media sites, Amazon and other online bookstores. You can do a soft launch online for an eBook or audio edition or the tradition printed book format. Most authors today will choose to do all three simultaneously even though it takes quite a bit more managing. If you look at all of the steps you see there is logic to the process, Start with building the website, creating your blog, request book reviews, create marketing, publicity, book trailer and social media. Book Reviews take the longest and they will go a long way to persuade your fans to purchasing your book. They serve as a vote of confidence in making a good decision. There are many bloggers who will provide a review of your book on their site and their followers are always looking for the next great book! Reviews are how you build your reputation with your potential fans and it will make the difference in how readily they choose to purchase your book. I found by approaching reviewers who provided reviews for books similar to mine, I get a much better return. While I'm writing my book I will glance through books listed on Amazon to see who reviewed their books. You can also find fairly inexpensive paid resources for book reviews by searching online. Book trailers are an important component to your book marketing. You can use a high definition flip video in front of your bookcase or even a blank white wall and have a video expert from a site such as Fiverr convert your five minute video background to nearly any background you choose. One of my authors had her book trailer scenery located in downtown New York with the street signs being changed to her book title and she lives in Wisconsin. You want to cover, what is the problem people might have without your book, what you are going to do to solve the problem and what the viewers might expect after reading your book. Be sure to smile and be engaging. It should be less than five minutes in length. When it comes to marketing your book it will be fairly straight forward. Think about who your target audience would be. Where will you find your largest target audience in social media environments? You might want to give your book away to those who are influential and have a large following. You might find bulk sales more to your liking because it takes less effort to sell in volumes than selling the same number of books one at a time. Who would benefit from buying your book in bulk? Is there a particular industry you can identify? You should offer to print their name on the front cover of your book as an enticement. One of my favorite methods of marketing my books is to create joint ventures with other authors who have the same target audience. I usually contact the authors I find on Amazon and Selfgrowth and ask if they would be interested in setting up a teleseminar or webinar and cross promote each other's books. I have them send out a notice to their database to invite their followers to a free session and half way through we change it up from being the interviewer to the interviewee. When I edit the audio program I'll cut out their interview and post my section on my site as a free download. People love free material, so it is a very effective method of getting fans to return to your site regularly. Your activity on social media is as important as any other marketing process you might use. You need a fan page on Facebook and you'll want to join groups on LinkedIn where you might find potential buyers. Of course you will want a dedicated Twitter account and to use as many social media sites as you can make the time to use effectively. Set aside a budget to place ads on social media sites and track the results to make sure you are getting results from advertising. Once the book is printed, the fun begins! You'll want to schedule a launch party or book signing event where you'll invite all of your friends, family, colleagues and even the media. Plan out the event with an agenda and be sure to record portions in five minute segments to include on your site. People love videos! You might event want to start your own YouTube channel to put your videos and spend time marketing your channel to your target audience, but make sure you have links going back to your site. And if all of this seems overwhelming, don't despair! There are more than enough experts you will be able to hire virtually to take over the areas you are not comfortable with or you can't make the time to do the tasks well. The name of the game is to be everywhere all at once and create a buzz around your book. Before you can have a book launch, you need to write a book. The quickest book to write is an ebook. And, if you want to create an effective money-making ebook in 7 days, you’ll want to check out How to Write Your Own Ebook in 7 Days by Jim Edwards. Jim is a master at creating and selling ebooks. 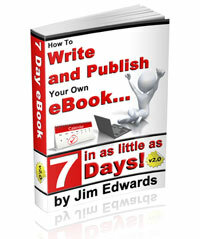 CLICK HERE to get your copy of How to Write Your Own Ebook in 7 Days and get started today!